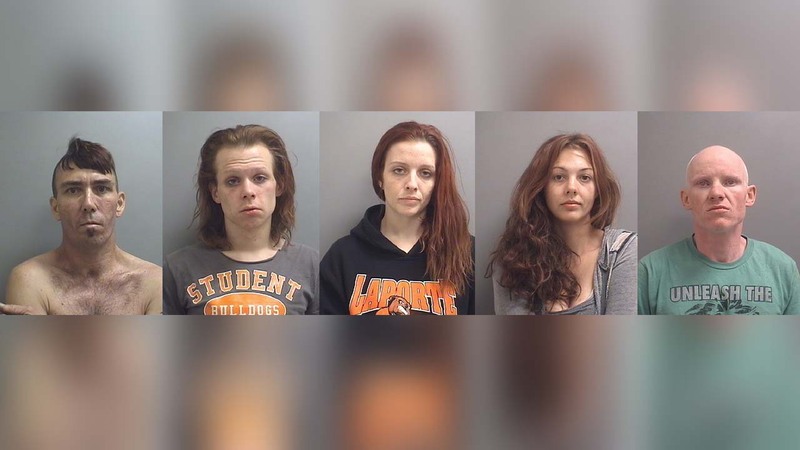 LA PORTE, Texas -- LaPorte police arrested five people on possession of controlled substance charges after a tip about illegal activity in the area, police said. Chad Beargeon, 43, Edward Rossino, 33, Erin Daughterty, 28, Josef Kitchen, 21, and Brittany Price, 29, are all facing charges upon approval of the Harris County DA, police said. Police found nearly four grams of meth and other drugs inside, including Hydrocodone, Xanax and Promethazine. A series of complaints brought police to the 500 block of Primrose Lane, police said. They were able to get a search warrant, which lead to the arrests.